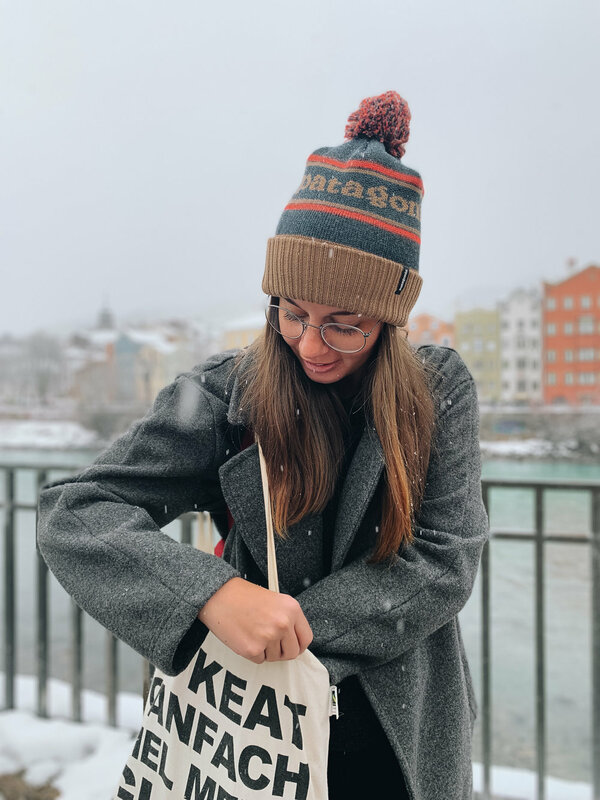 Another big motivator for writing this post today is that both Sophie and Natascha moved out recently and kind of realized how much trash we produce in our day to day live; and how much of it is really unnecessary. The amount of waste entering our oceans is shocking. Meanwhile, many Zero Waste-Bloggers are becoming famous by showing us how they make their own shampoo or toothpaste. We admire them. They are able to really minimize their impact on nature. But it's not possible for everyone to go zero waste. Also, it might be a little deterrent to tell people they should stop buying everything they are used to and produce their goods themselves. It costs time and money. That's why we don't want to show you how to go zero waste, we want to show you some very easy, cheap and “not a single bit time consuming” ways to go zero unnecessary waste. We want to bring ourselves step by step closer to zero waste, and by doing so we will keep you on track of many little things everyone can do. It is better to take people by the hand and show them "Hey, there's an easy, convenient way to avoid waste and you can do it, too! ", than bringing them down and simply telling them they need to cut out everything of their life. We want people to get inspired and take little steps. Also, we plan on trying a Zero Waste challenge in January and really fill up a jar with all the plastic waste we didn’t manage to eliminate that week. But how do we already try to eliminate plastic waste? Some of the things we tell you today might not be new to you, but we'll start with the basics. Have you heard about the plastic straw ban the EU wants to enforce? We really don't get why there's such an outrage. Why do you need straws? And if you really need them, tell us any reason why it can't be made out of paper or metal? They do their job just as well as plastic ones and do not taste different (as some people like to claim only to justify using plastic ones). Altogether, we have to add we are big supporters of the idea to ban all single-use plastic products. Why produce something that is thrown away after 5 minutes? You need cutlery? Well, if you don't want to use metal one, at least stick with bamboo. There are already some take-away restaurants around us that use bamboo cutlery and take-away boxes and that's already a good start. The same goes for shopping bags. We started using cotton bags a while ago and own numerous ones. Of course, it takes a bit of time to remind yourself to always take one with you in case you go grocery shopping, but after a while it feels weird without one. Something that luckily has become en-vogue is carrying your own coffee mug instead of throwing a single-use one away as soon as it is empty. Some bakeries and coffeehouses also offer discounts if you are using your own mug (like 10 c less or similar) which already encourages people. Also, don't you think reusable ones are way prettier? The same goes for bottles. We are using our own glass or metal bottle that easily can be cleaned and used for years! Something that may require a little bit more effort, but is so important in the long run, is deciding where you buy and what. We started caring about the whole plastic issue a while ago (if you are interested, there are various documentaries on streaming portals, e.g. "A Plastic Ocean", which are eye-opening) and if you want to get Natascha to rant about plastic, just say the word “cucumber”. The most basic vegetable and yet so complicated. 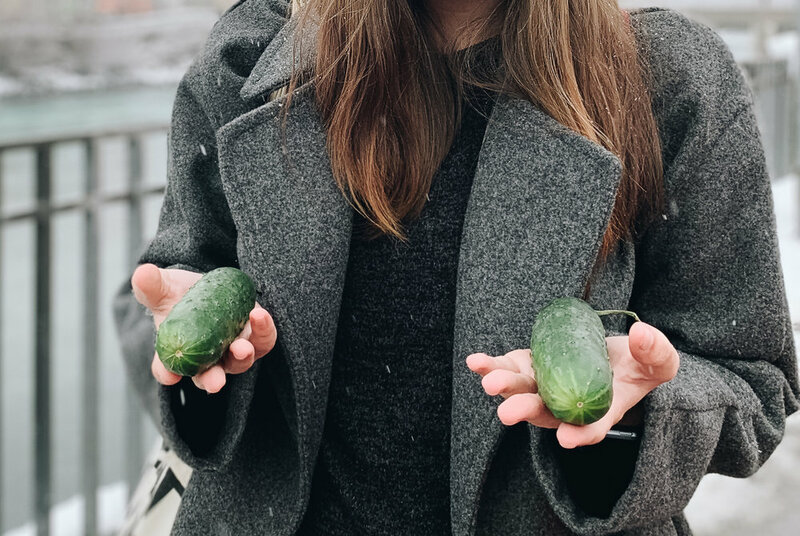 Walk into your supermarket and tell us, is the cucumber wrapped in plastic? Well, we have about 3 different supermarket chains in our surroundings and EVERY SINGLE ONE offers wrapped cucumbers only. A few weeks ago, at least the organic cucumber from areas close by was unwrapped but about 4-5 weeks ago they started wrapping also these. WHY?! Everyone washes their vegetables before eating them and we even know various people that peel their cucumber ... wrapping it in plastic is just useless. Generally, you could say that walking into a supermarket nowadays can make us furious. Enter and tell us how many goods are wrapped in plastic? It would be easier to count the ones that aren't. That's why we stopped buying our vegetables there a while ago. 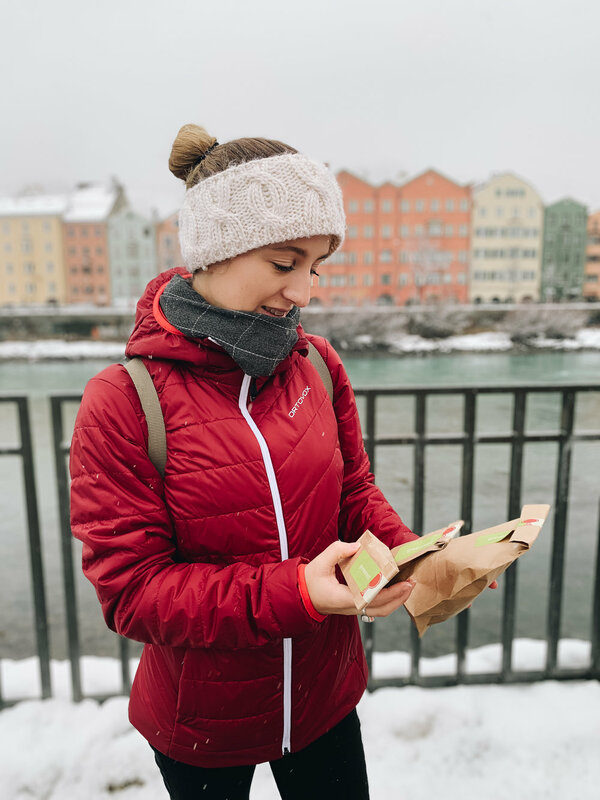 If you live in a city, even a rather small one like Innsbruck, there are numerous fruit and vegetable shops, where you can simply tell them you don’t need a bag. If you are living on the countryside there are farmers even in the villages we grew up there were numerous places you could buy them without wrapping. And this doesn't mean you have to carry your vegetables unprotected. In some supermarket we found "fruit and vegetable bags" - yes, they do have these bags but no unwrapped vegetables. The ones we bought are made out of recycled PET and can even be washed in a washing machine. They are so small you don't even notice them in your bag and you can use them for various things. Of course, there are also some made out of cotton or similar fabric. Photo thankfully received from Greenroot Innsbruck. Go visit www.geenroot.at for more information. Also, we are surprised and happy to see that even in a city of the size of Innsbruck "zero waste" shops are popping up. You can simply go there with a container like mason jars or bottles and fill them up with food you'd normally buy at the supermarket. In the end, you only pay the weight of the goods you bought. This is ideal also for people like us who are living in a single-person-household and don't need 1kg of something, but a lot less. We hope you liked our little introduction into this topic and we definitely plan on writing more about that, like a review of some Zero Waste shops and of course we’ll keep you updated on how our journey to zero waste is going. Are you curious about our Zero Waste challenge? We surely are, and we can’t wait to tell you all about it.